When my wife and I carried our newborn child through the sliding glass doors of the maternity unit, we were not given an instructional manual. No type of handbook accompanied the second or the third child either. Like all parents, we were directed to the exit sign clutching our new wrapped-in-blue bundle, with little more than a slap on the rear end, like a coach sending in his second-string substitutions. We were those kids with plenty of eagerness to play the game, but not a lot of knowledge about the playbook. We simply were not prepared for or coached up on every possible situation that would arise in our family-building career. Case in point: Our three boys were playing football in the backyard this winter when one of them called to me with words I could have never anticipated. Casually, as if he were making a weather observation, he said, “Dad…the dog is on the roof.” I exploded onto the upper deck to discover that my son was alarmingly correct. 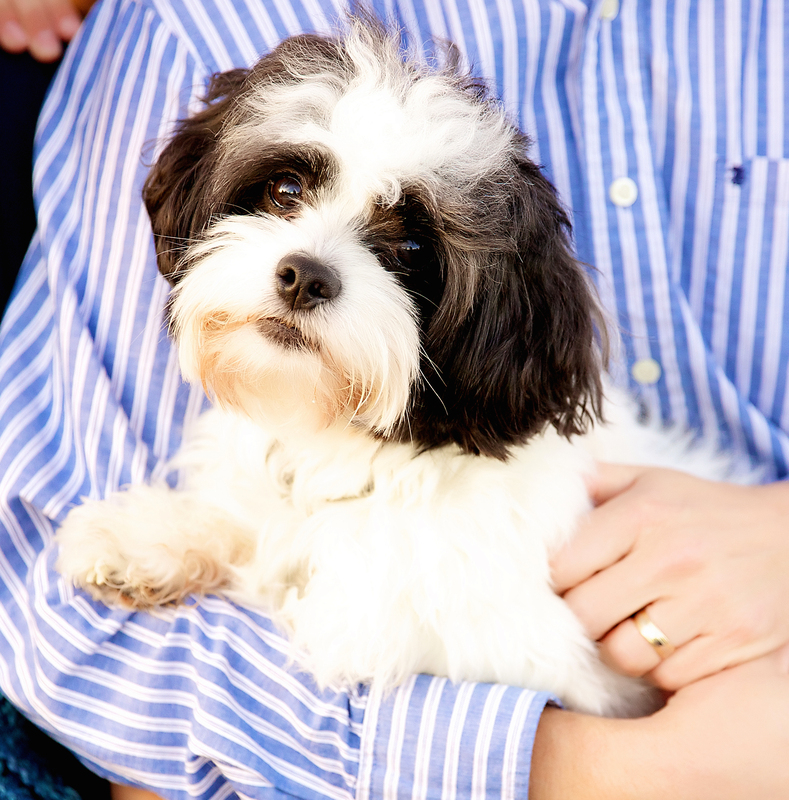 Our new little Shih Tzu – Toby – had inexplicably crawled beneath the deck railing and was fifteen feet across a pitched metal roof, two stories off the ground. I was horrified. My dear wife was worse, deranged with panic, and wanted to crawl over the rail to rescue the pup. I understood that if this disaster were not averted, I did not have enough pastoral skill, fatherly wisdom, Valium, or hard liquor to assuage the suffering. So, with the boys in place below, ready to exercise their burgeoning football catching skills, my hand firming holding my wife by the belt loops at the railing, and aiming every prayer at heaven I could muster, I gently called, “Toby…come here, boy.” He loped over to me as if it were a day at the dog park, and tragedy was dodged (If someone ever writes that parenting handbook please include this nutty story as “Exhibit A” in what can go unpredictably wrong around the house). But as crazy as this story is, here is the craziest thing of all: While our entire family mobilized to protect and save this precious little dog, Toby was completely, totally, and blissfully unaware of our efforts. Hands were shaking. Tears were forming. Railings were being scaled. Catch nets were being weaved. Meanwhile, he was sniffing leaves, enjoying the view, and inspecting the strange metal floor beneath his feet. Toby doesn’t understand this, but he doesn’t have to; he simply lives a dog’s life in the loving arms of those who always look out for him. Sometimes I perceive God working the same way. I sense him hanging in the atmosphere around us; ethereal, intangible, but very real just the same. Occasionally, I glimpse him lurking within and brooding over the circumstances of life, sometimes gently calling, but most of the time just ready to catch us when we fall; or to save us from ourselves when we’ve crawled too far out on the ledge. We are like a baby resting in her mother’s arms, completely incapable of communicating the affection that surrounds us, but just as absolutely aware of it. We are like a teenage son who fights his father at every turn, kicking against every boundary, but deep inside we know that our father loves us no matter what – even when we don’t understand – and we are grateful to have someone on our side. We are like a driver, blissfully driving down the highway, perfectly ignorant of the fact that the red lights that stop us or the wait to get that morning cup of coffee, have actually saved us from danger somewhere else down the road. We are like a dog on the roof, even while our well-being is in jeopardy, we are enfolded by a protecting love. Yes, I believe there is a mysterious, unseen, hovering God in the universe that we cannot always understand, see, or otherwise tangibly perceive. But we know he is there. His enveloping love for us is very real, and yes, it is very good.